Grinch Christmas Cookie Recipe by Stephanie from MomDot. 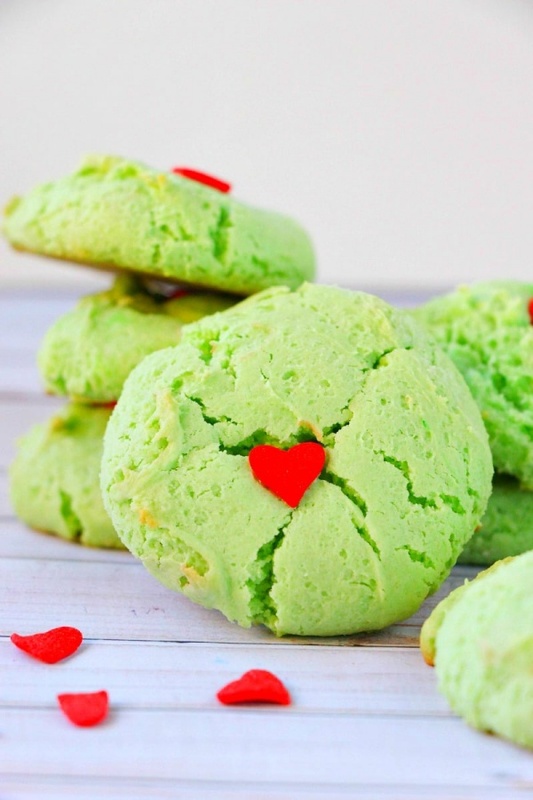 Easily made, this cookie brings the season alive with one of very favorite icons, The Grinch! Even better, this cookie recipe that includes boxed cake mix and cream cheese, means for a delightfully delicious cookie that is excellent with a glass of milk or just on its own.